Healthy Cheeseburger Casserole. 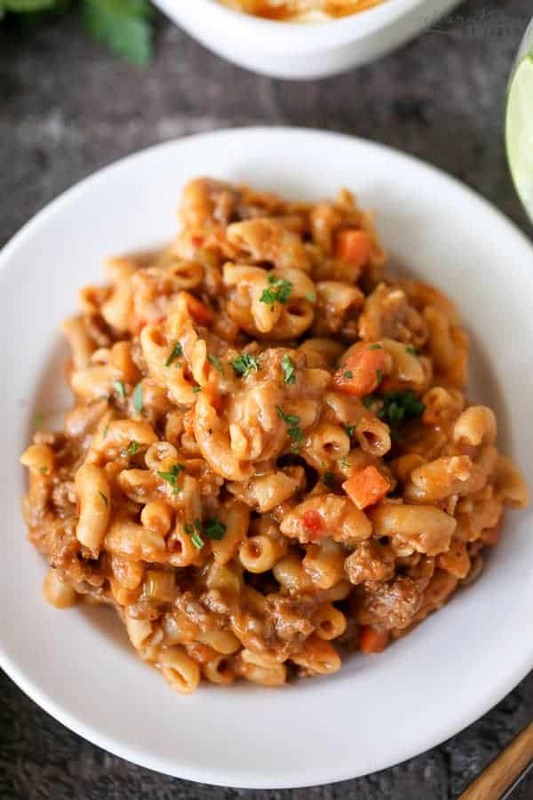 Similar to Homemade Hamburger Helper – Creamy, cheesy casserole loaded with lean ground beef, whole wheat pasta, finely chopped veggies, and cheddar cheese. Made in one pot in 30 minutes! 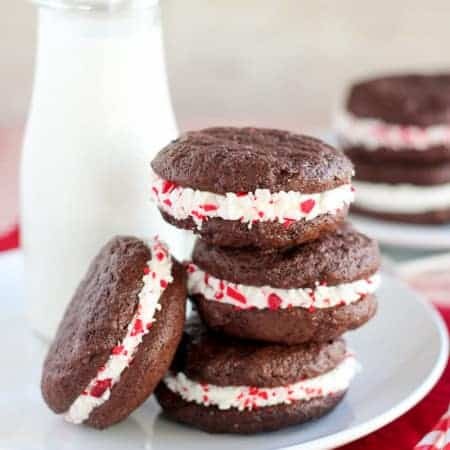 I figured we could all use some comfort food on this wintry Monday. Most of the country (or at least everyone I follow on Instagram) was blanketed with snow this past weekend. Although there was no snow to be found here in the desert, we still enjoyed a chilly, cozy weekend at home. When it comes to meal planning in January we have to walk that fine line between healthy (resolutions, holiday detox, etc.) and the need for hearty comfort food. I love taking recipes that are traditionally heavy and overly-processed and turning them into something that I am proud to feed my family. 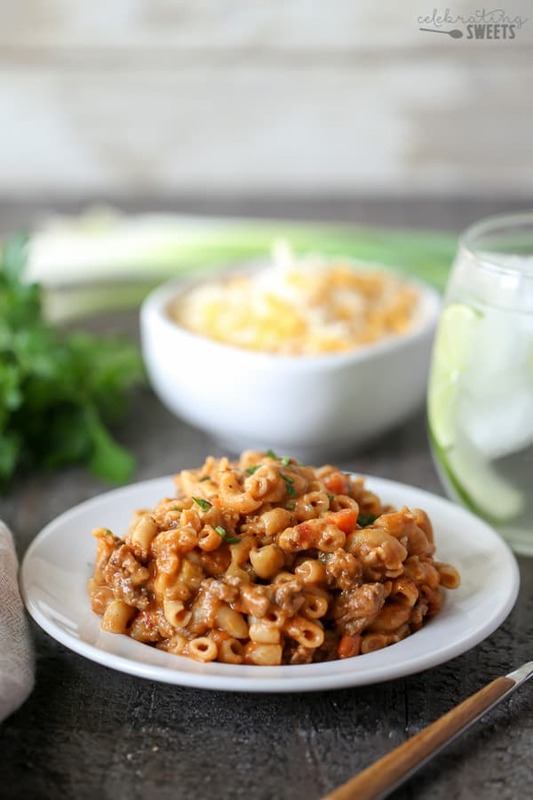 This Healthy Cheeseburger Casserole is like the healthier, more flavorful cousin of Hamburger Helper. It’s creamy, cheesy, and super satisfying. It’s filled with lean ground beef, whole wheat pasta, and nearly 3 cups of finely chopped vegetables. Picky eaters in your family? Cut those veggies really small and they will melt into the casserole and be virtually undetectable. A sweet and tangy tomato sauce coats everything and grated cheddar adds gooey cheesiness to every single bite! This meal is made in one pot in about 30 minutes. It’s perfect for any night of the week. If your weeknights are busy, prep your veggies and grate your cheese in advance and this will come together even faster. Let’s talk garnishes real quick. This dish is absolutely delicious with no garnishes; they are not necessary, but, if you’d like you can garnish with sliced green onions and parsley. Or, if you really want to drive that cheeseburger flavor home you can try chopped pickles sprinkled on top. Enjoy! 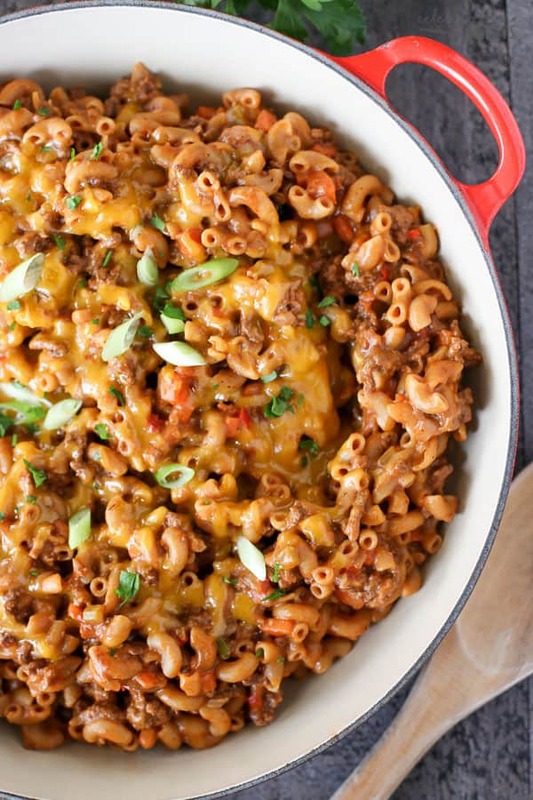 Cheeseburger macaroni casserole with a healthy twist. 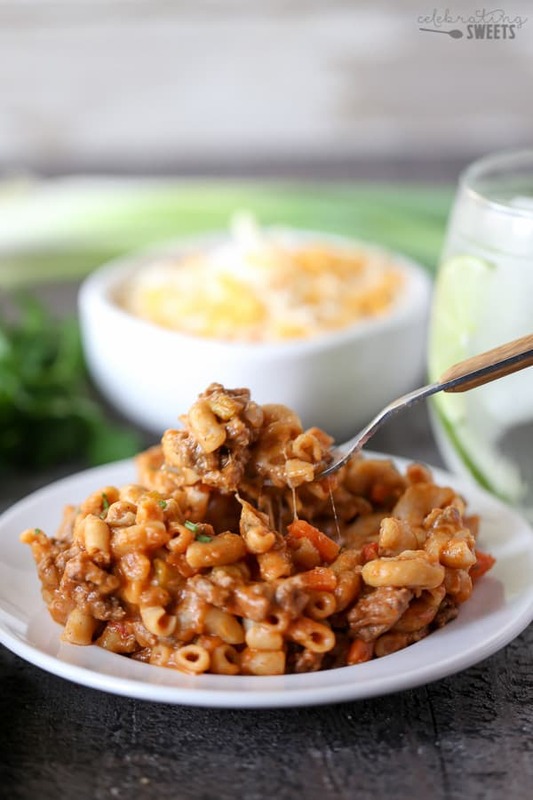 A creamy, cheesy casserole loaded with lean ground beef, whole wheat pasta, finely chopped veggies, and cheddar cheese. 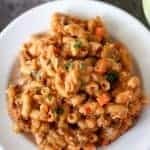 Healthier comfort food made in one pot in 30 minutes! Heat a large saucepan over medium heat. Add olive oil and ground beef and cook, breaking up with a wooden spoon, until the meat is mostly cooked through. Add onion, carrot, celery, bell pepper, garlic and 1/2 teaspoon salt and cook for 10-15 minutes, until the vegetables have softened, stirring occasionally. If the mixture seems dry you can add a drizzle of olive oil. Add beef broth, ketchup, tomato sauce and pasta. Increase heat and bring to a boil, then reduce heat to a simmer. Simmer uncovered, stirring frequently, until the pasta is cooked through (about 10 minutes). As the mixture is cooking it will thicken. Add water as needed to keep it creamy. Once the pasta is cooked through and the vegetables are tender, stir in 1 cup of cheese. Taste and add salt and pepper to taste. Sprinkle the remaining 1/2 cup of cheese over the top and place a lid on the saucepan to melt the cheese (or pop it under the broiler to melt it). Serve immediately. If the sauce thickens, just stir in a little water to make it creamy again. Reheating leftovers? Stir in a splash of water to make the pasta creamy. I made this again for dinner last night and it is so yummy and cheeseee! I highly recommend! Wow !!! I made this with no oil and half cheese only daaaaaaam. 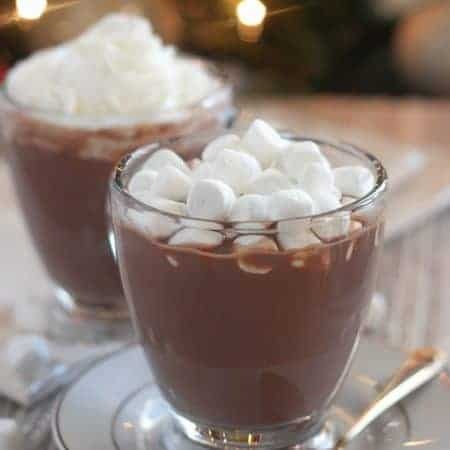 Its delicious. Thank you so much. I’m so happy to hear that. Thanks for taking the time to stop by! This was easy and tasted GREAT! 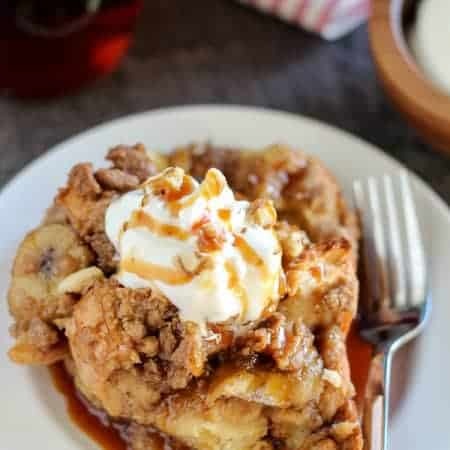 My kids loved it, and I will definitely make it again. Looking forward to trying some of your other recipes. My family loved it! They actually thought it was hamburger helper 😉 Very delicious.